Adjustable black leather strap with Guccissima embossed pattern. 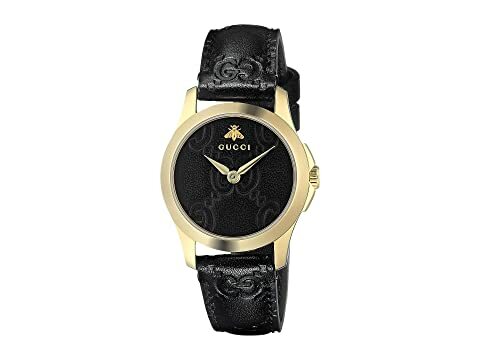 Black leather dial face with Guccissima embossed pattern, brand name, and bee logo at 12 o'clock. Gucci® interlocking logo on crown. We can't currently find any similar items for the G-Timeless - YA126581 by Gucci. Sorry!